Route 1, the Pacific Coast Highway, which winds along the ocean rim from Carmel in the north through Big Sur and on to Cambria in the south, is not a fast road. But it doesn’t need to be. It is a road that urges you to take your time. 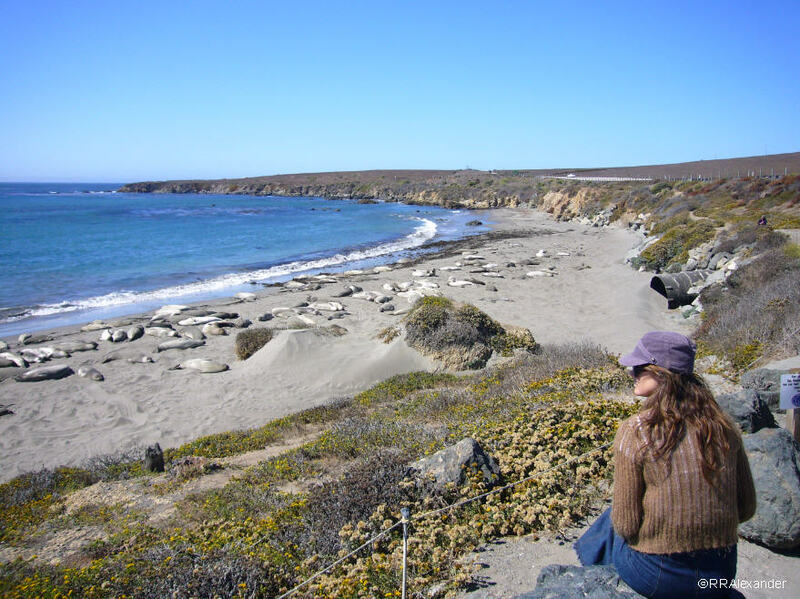 There are few things as beautiful as the edge of the Pacific Ocean, and there are numerous pullouts and scenic viewpoints where you can stop and take it all in. Route 1 between Carmel and Cambria is roughly one hundred miles long. Though popular online mapping systems give a travel time of one hour and twenty minutes, those are unrealistic estimates. I’m sure it could be done, but I’m also sure that it wouldn’t be safe. A typical ride will take three to five hours, depending on how many times you stop and for how long. Initially bearing numerous other names, the road was built in segments over several decades. The stretch through the Big Sur area was the most difficult to build. San Quentin Prison set up three temporary prison camps to provide convict labor to help with the construction. Aided by New Deal funds during the 20th Century’s Great Depression, it took 18 years to build and was opened in 1937. 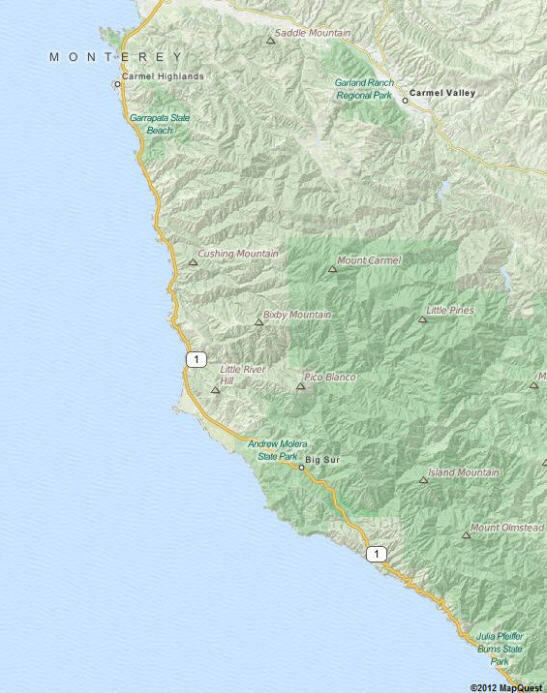 Portions of Highway 1 have been closed or rerouted entirely due to coastal erosion and frequent landslides. For example, the Devil’s Slide area, particularly prone to landslides, was closed for five months in 1995 and for four months in 2006. To bypass that area, a tunnel is scheduled to open in late 2012. 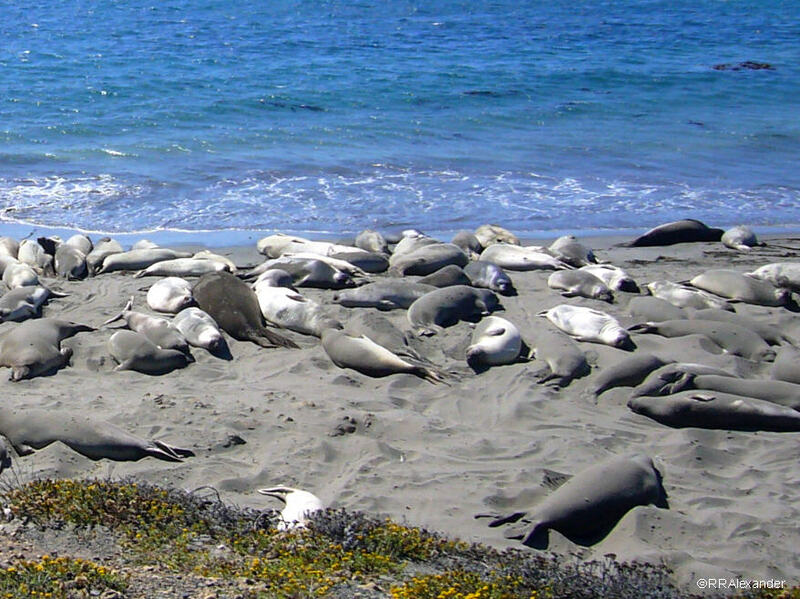 Below: North of Cambria, male Elephant Seals take their leisure during molting season, sunbathing on an arc of warm sand. 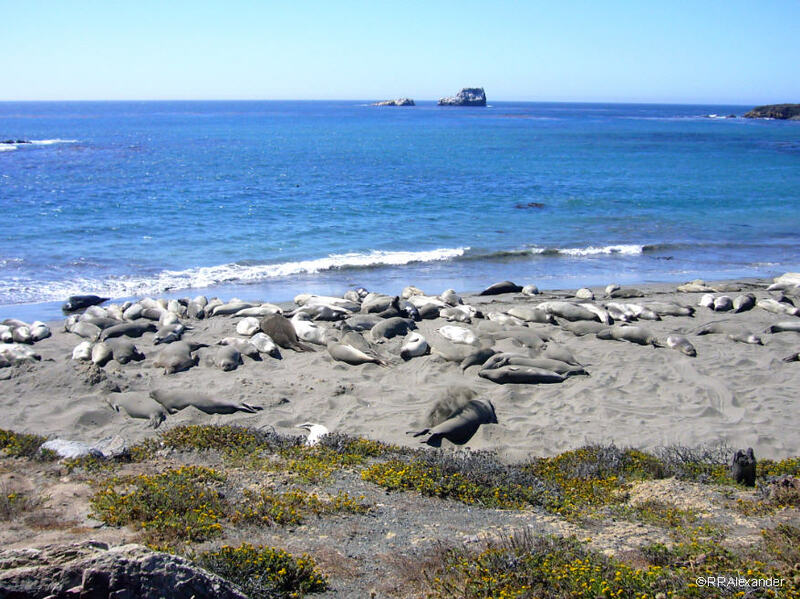 Signs on the highway point out the pullout with plentiful parking above the beach where the seals frequently rest. A great deal of vehicular traffic is diverted into the parking lot. The photographs on this page were taken with a Panasonic Lumix DMC-FX01 in 2007.